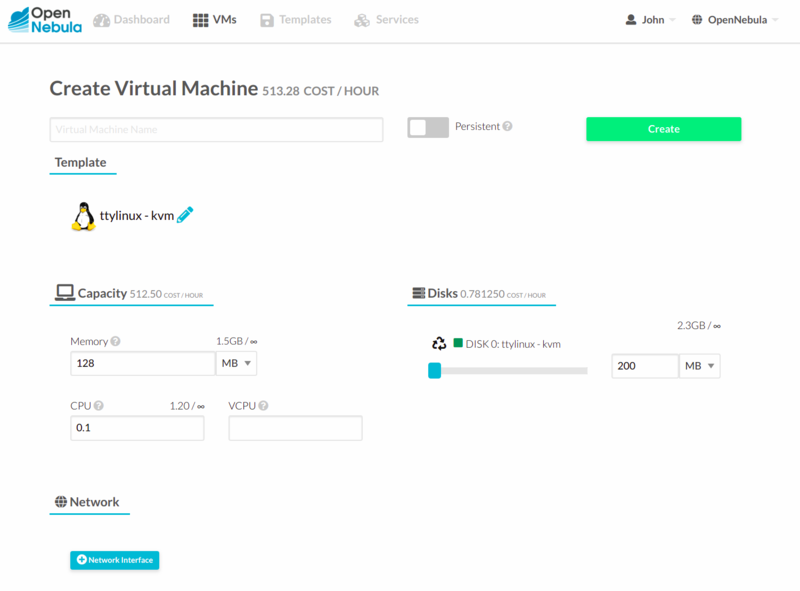 This is a simplified view intended for cloud consumers that just require a portal where they can provision new virtual machines easily. 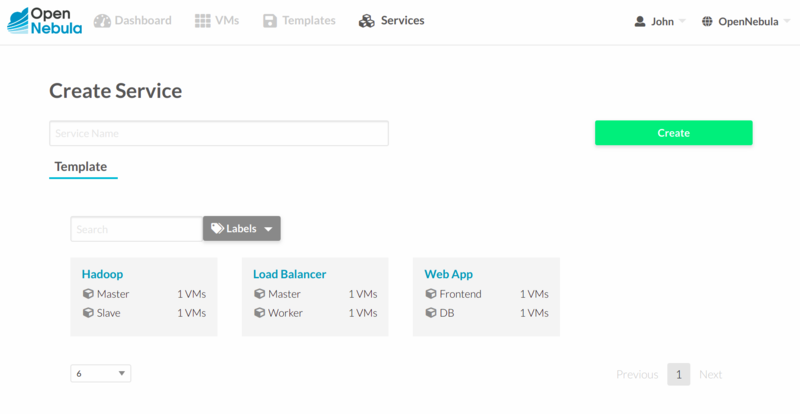 To create new VMs and Services, they just have to select one of the available templates prepared by the administrators. In this scenario the cloud administrator must prepare a set of templates and images and make them available to the cloud users. 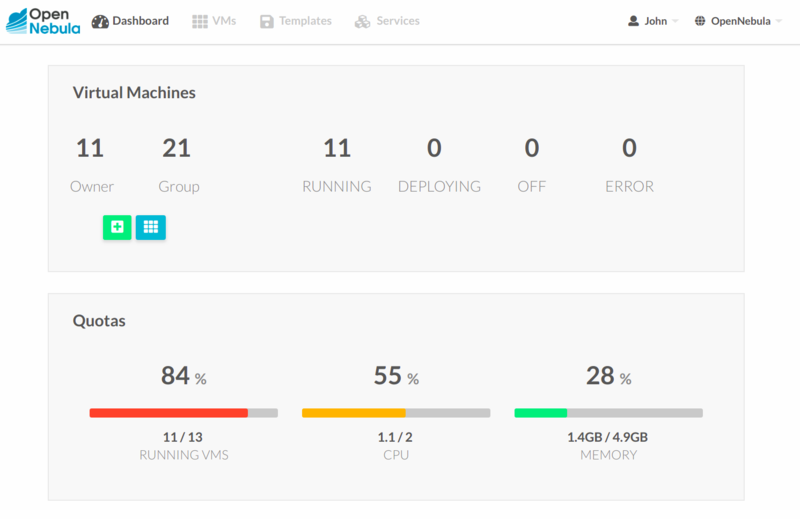 These VM Templates must be ready to be instantiated, i.e. they define all the mandatory attributes. 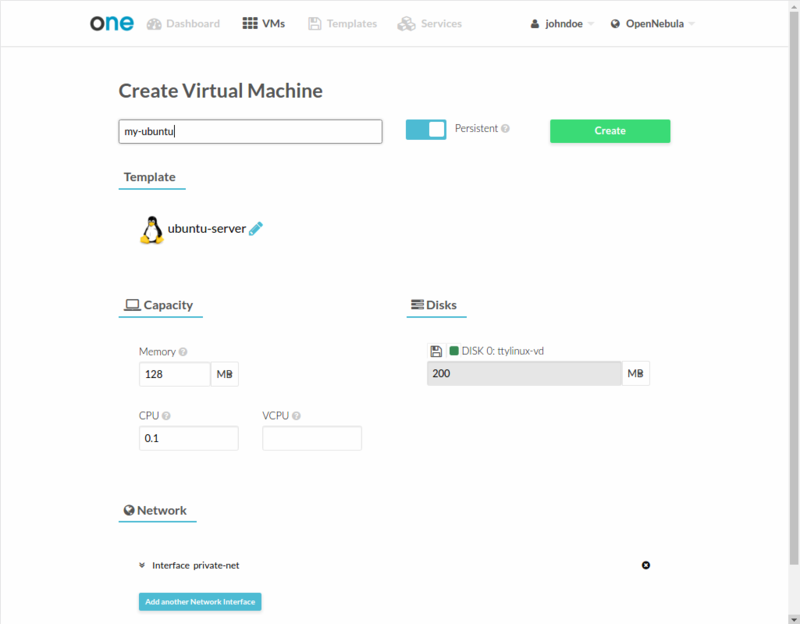 Before using them, users can optionally customize the VM capacity, resize disks, add new network interfaces and provide values required by the template. 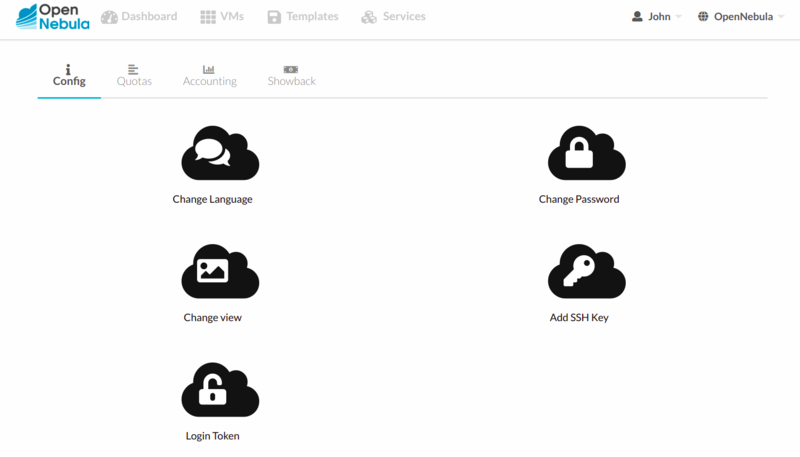 Any user can provide his own ssh public key to be included in the VMs created through this view. Note that the template has to be configured to include it. 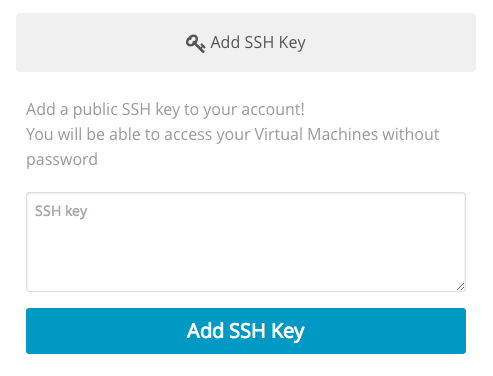 User can provide the ssh key clicking on its name in the top right of the screen, selecting “Settings” and then “Add SSH Key”. 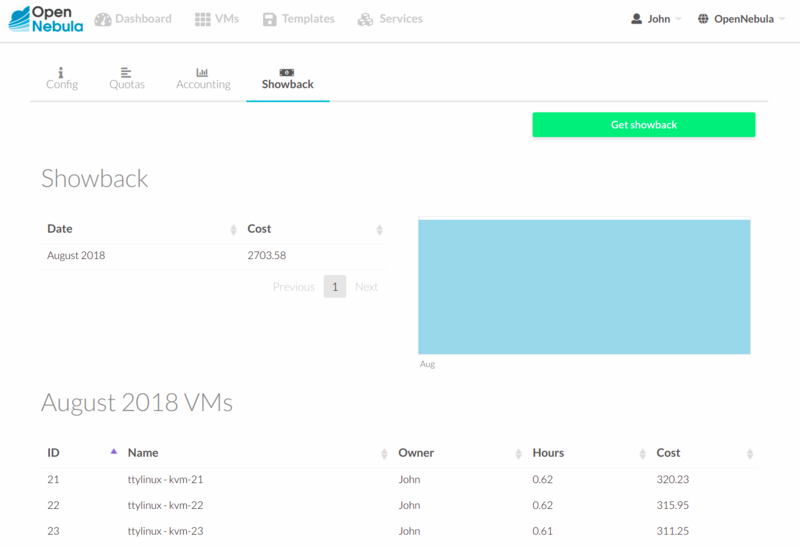 The status of the VMs can be monitored from the VMs tab. Users can create a persistent private copy of the available templates. A persistent copy will preserve the changes made to the VM disks after the instance is terminated. This template is private, and will only be listed to the owner user. Alternatively, a VM that was not created as persistent can be saved before it is destroyed. To do so, the user has to power off the VM first and then use the save operation. Any of the these two actions will create a new Template with the VM name. 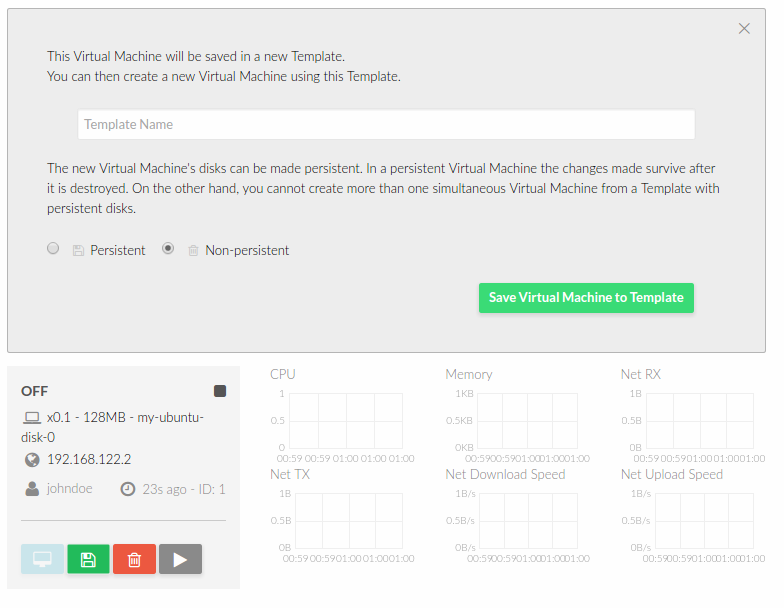 This template can be used in the “new VM wizard” to restore the VM after it is terminated. This template contains a copy of each one of the original disk images. If you delete this template, all the disk contents will be also lost. Avoid making a persistent copy of a persistent copy! 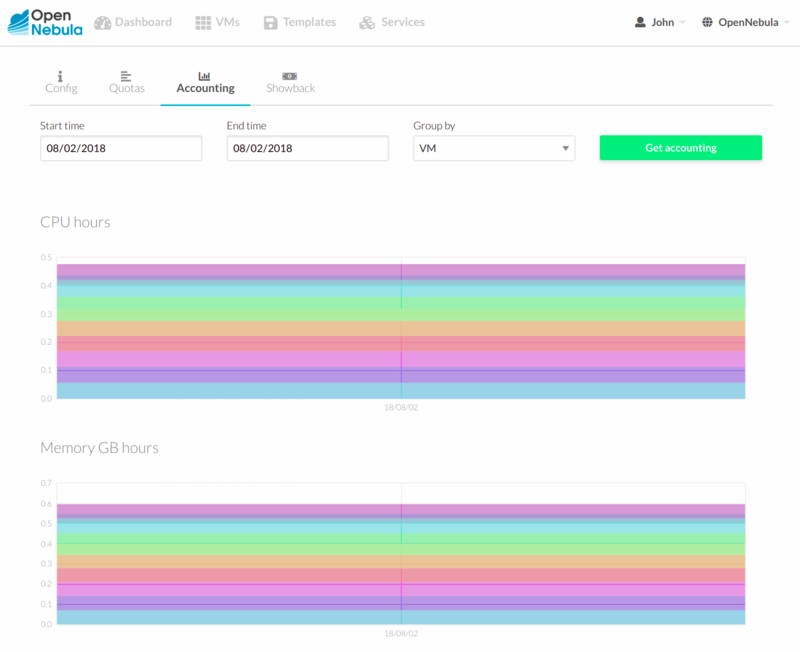 Although there are use cases where it is justified, you will end with a long list of Templates and the disk usage quota will decrease quickly. 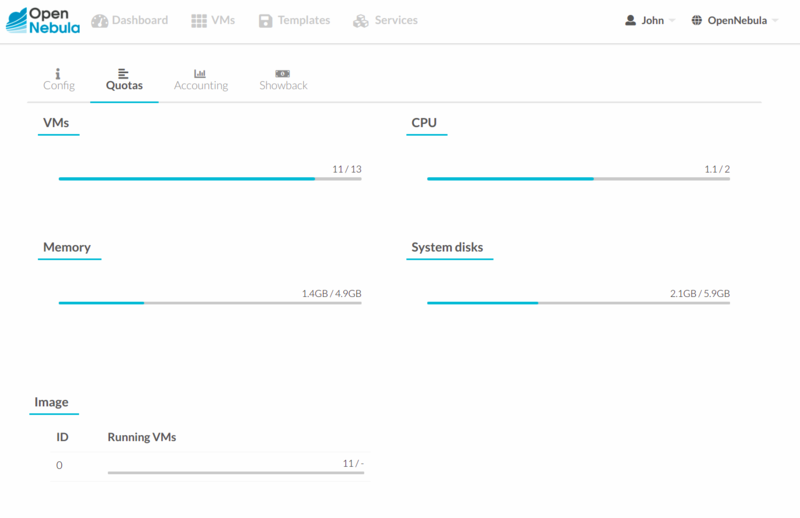 In this scenario the cloud administrator must prepare a set of Service templates and make them available to the cloud users. These Service templates must be ready to be instantiated, i.e. they define all the mandatory attributes and the templates that are referenced are available for the user. Before using them, users can optionally customize the Service cardinality, define the network interfaces and provide values required by the template.